The dead included four Canadians from the same family who had gone there over their Christmas break to do aid work in schools and orphanages. Yves Carrier, his wife Gladys Chamberland and their two children, Charles-Élie, 19, and Maude, 37, were visiting on behalf of their local church-affiliated group, Le Centre Amitié de Solidarité Internationale de la Région des Appalaches. 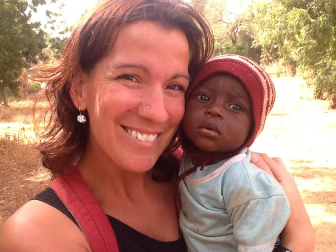 They and two family friends, Suzanne Bernier and Louis Chabot, left Quebec just before Christmas to live and work in several remote villages in Burkina Faso. The group were on a three-week visit and were in the capital, Ouagadougou. Charles-Elie and Maude had been due to fly home that evening, and the group had gone out for a last meal in the capital before the two packed to go to the airport. They were supporting the Congregation of the Sisters of Our Lady of Perpetual Help; Gladys Chamberland had already had a short trip to Africa in 2013. 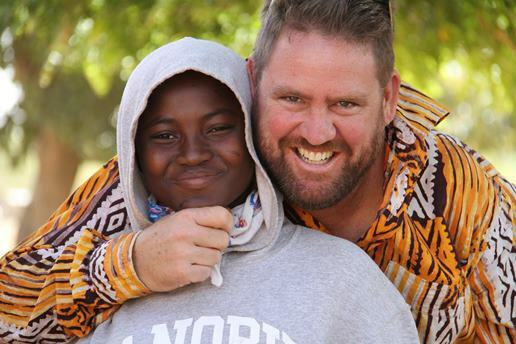 Meanwhile, victim Michael Riddering, 45, from Florida had been working as a Christian missionary in Burkina Faso since 2011, according to his blog, Reach Burkina. During the recent Ebola crisis, his work had included comforting families and digging graves. Pastor Valentin is reported to have survived after he hid for hours in the café, and was said to have been rescued by the Army. The American couple had two adult daughters, Hayley and Delaney, in the US but had adopted two more from Burkina Faso – a girl, Biba, 15, and a boy, Moise, aged four. Michael Riddering was later due to collect a visiting volunteer group from a church in Florida. Their plane was at first diverted, but they eventually landed in Ouagadougou, only to have to make plans to return home. Riddering’s mother-in-law, Carol Boyle, described him as a man who was “extremely well-loved and respected … He had his guiding light, and he followed it”. Al-Qaeda in the Islamic Maghreb (AQIM) said the jihadist group Al-Mourabitoun was behind the attacks on two hotels and the café, which were frequented by UN staff and aid workers. Burkina Faso’s president, Roch Marc Christian Kabore, said two of the attackers had been identified as women. Three jihadis, including an Arab and two Africans, were killed in the assault on the Splendid Hotel and nearby Cappuccino Café, officials said. A fourth extremist was killed at the Yibi Hotel, which was searched by troops as part of a later raid on nearby buildings. In a statement released online, the group said that the attack was “a new message from the heroic champions of Islam, with their blood and their bodies, to the slaves of the cross, the occupiers of our homes, the looters of our wealth, and who would undermine our security”. AQIM and Al-Mourabitoun said they were jointly behind the attack on a hotel in Mali in November, where 22 people were killed. AQIM is based in the Sahara Desert between Mali, Niger and Algeria and has attacked West African countries, but this is the first time the group has targeted Burkina Faso. Explaining the reasons behind the attack, The Guardian said it is a message to France and its Operation Barkhane – a 3,000-strong military force spanning five countries, intended to combat Islamist militancy – that the intervention is not working. On the same day as the attack, an Australian doctor and his wife were kidnapped in Ouagadougou. 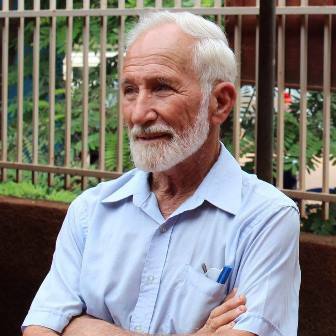 Ken and Jocelyn Elliot, a Christian couple in their eighties, have been setting up medical facilities in Burkina Faso since the 1970s. They were running a 120-bed clinic in the town of Djibo, close to Mali’s border, where Dr Elliot is the only surgeon. Hamadou Ag Khallini, a spokesperson for Malian militant group Ansar Dine, told Australian media that the Al-Qaeda-linked Emirate of the Sahara group was holding the couple. There has been no official statement saying where the couple are being held or why they were kidnapped.